You find yourself in a cave filled with enemies. There's no point in staying here! Grab your weapon and head down to kill as enemies many as you can before your inevitable demise! Collect keys and reach the stairs to go down another floor. 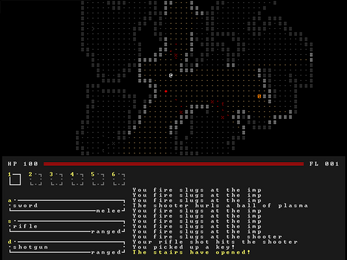 Fight off hordes of enemies! Each enemy has it's own combat abilities. Use a variety of weapons and items to lay waste to those who oppose you! Railgun trails, bullets and rockets flying through the air, explosions, gore! All kinds of visual effects for extra visceral combat. 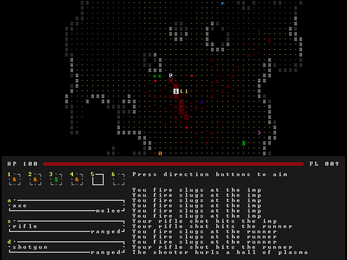 Randomly generated caves, items and horde spawns, keep on your toes! Who doesn't like boomsticks and chain explosions? Please read the README.TXT before starting the game. Key for walking down stairs (">") may not work on some non-qwerty layouts. Use tab instead. Doing melee attacks manually (by pressing "a" rather than bumping into enemies) does not trigger new turns. Very exploitable! 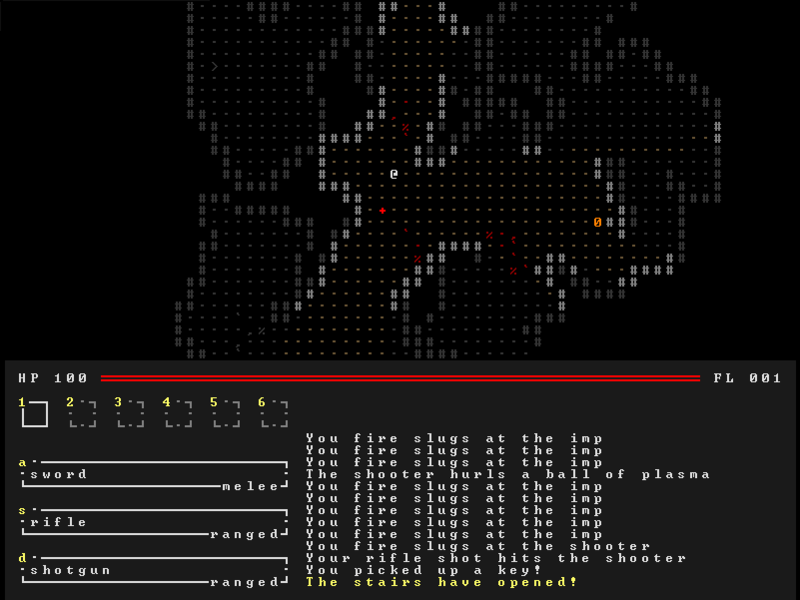 Game made in 7 days for the 2015 7 Day Roguelike (7DRL) challenge. 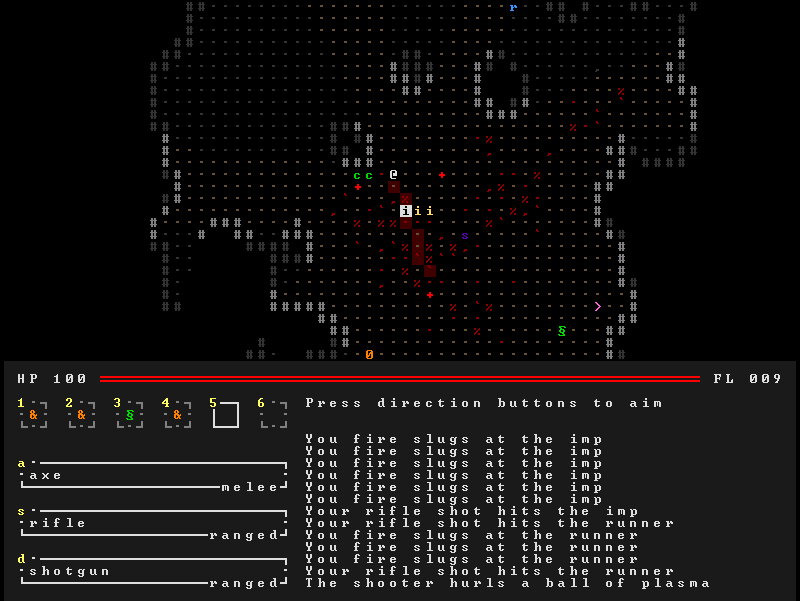 Visit http://7drl.roguetemple.com/ for more info. STRIVE was written by Fabian Goedhart (supperdev). 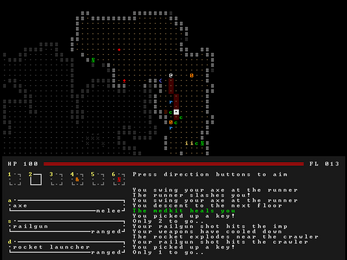 The game uses SDL and The Doryen Library. 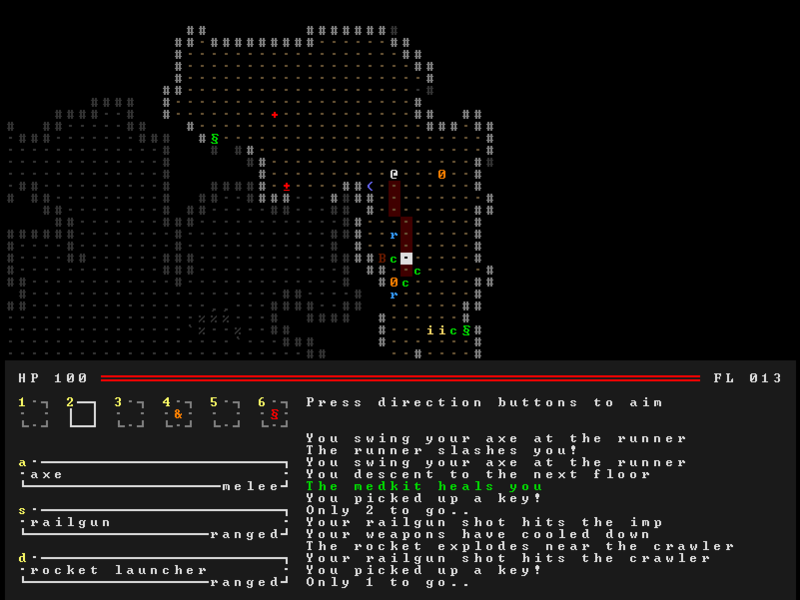 1.1: hotfix on last day of the 7DRL challenge, added TAB for walking down stairs, nerfed health items, added help text.